Sanjay Saxena, expounding on the views of Yuga-rishi Pandit Shriram Sharma Acharya, quoted that, "Well, if people have completely discarded the genuine Varna-order (वर्ण-व्यवस्था), and instead rolled out an unjust and corrupted order, then its utterly unreasonable (अनुचित) to slander the genuine Varna-order. It's also true that incessant onslaught of attack by foreign invaders/plunderers and their vicious religious campaigns caused deep socio-religious scars and highly inequitable distribution of wealth, that created several major defects in the Varna-order. But, fact remains that no other social system has benefited the society, so much and for so long, as the varna order did. Even today, with modest effort, this varna order can again be fruitfully revived for the upliftment and wellbeing of the society. Due to prevailing corruption (विकृति), corrosion, degeneration, and perversion in many aspects of Varna-Order (वर्ण-व्यवस्था), many people have started seriously accusing it for all the ills of Indian social system lumping it under a ill-defined and misunderstood foreign label of 'caste'. The best way to create a resistance against the prevailing corruptions in Varna order is that, we must revive and re-establish the genuine-varna-order (सच्ची वर्ण व्यवस्था) starting from it's founding principles. The truth is that, we are unable to break off the shackles and barriers of 'jaat-paant' (जात-पांत), because we have failed to produce new genuine Brahmans, Kshatriyas and Vaishyas that would be capable of replacing the degenerated ones. "Pandit Shriram Sharma, Acharya Vangmaya"
Capitalism and Communism are the two social orders in vogue today. Both are extremely opposed to each other and have caused disastrous conflicts in the world. Capitalism strives for concentration of wealth in the hands of a few capitalists. While as communism strives that no individual should accumulate wealth. Rather, wealth of the nation should be equitably distributed. Some serious thinkers have explored India's Varna-Order (वर्ण-व्यस्था), with the objective of fixing the defects, deficiencies and contradictions between capitalistic and communistic social orders. The Indian Varna-Order strives to allocate work based on individual's qualities, proficiency, aptitude (योग्यतानुसार) and compensates them as per their situation (स्थिति) and needs (आवश्यकतानुसार). Following three principles can be explicated from the Varna-Order: (1) Proficiency (कौशल), (2) Interpersonal powerplay (शक्ति-प्रतिमान), (3) Appropriate remuneration (यथायोग्य दक्षिणा). This paper proposes to elucidate the principle of genuine Varna-Order. And also discusses its form and goals. Many scholars during many time periods, have lucidly demonstrated the usefulness (उपयोगिता) and virtue (श्रेष्ठता) of Indian Varna Order (भारतीय वर्ण व्यस्था). With the help of examples and logic, they have proved that Varna Order is founded on rational/scientific thought, such that every individual in the society is afforded the full opportunity for self-development and growth (आत्म विकास का अवसर). Over ages, Varna Order helped prevent the social inequality and disharmony of the kind we see all around in the 20th/21st century. 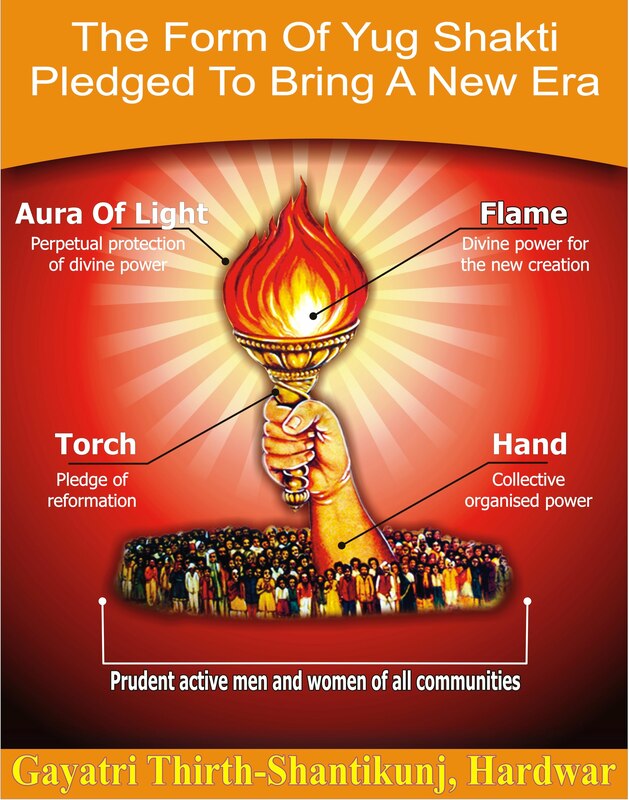 Varna Order propelled Indian society on the principle of universal brotherhood (विश्व-भ्रातृत्व). All people were deemed to be part of the same 'Param-Purush' (परम-पुरुष). This tenet kept in check the discrimination due to people's riches, scholarship, smarts or stupidity. Thus people lived like a family. Helping others in distress was deemed to be a natural duty. But, due to prevailing corruption (विकृति) in many aspects of Varna-Order, many people have started seriously accusing against it. Some people go to the extent of claiming that, teachers (ब्राह्मण), solders (क्षत्रिय), traders (वैश्य), and laborers (शूद्र), all these do exist in every nation/society, so why make any special publicity (प्रचार) about varna order. These accusers neither have grasp of the principles of Varna (वर्ण) nor it's order (व्यस्था). It's similar to claiming that, everybody got hands, legs etc, then what is the need of toning and strengthening these with nourishing food and regular exercise regime? It's also like a claim that, throwing the seeds on the earth produces crop, then where is the need to study agriculture science? But all these people forget that, every teacher is not a Brahman, every solder is not a Kshatriya, every merchant is not a Vaishya ! In fact, Brahmans are those, who don't merely teach to make a living, rather they have made it their life's primary goal to spread knowledge. And, they refuse to quit, no matter how much the temptation of money is presented to them. Likewise, every solder is not a Kshatriya, rather, Kshatriyas are those who have committed their life to remove the injustice from the society and they are willing to make the ultimate sacrifice while doing so. They will also never quit, no matter what the circumstances are. Every tradesman/merchant is not a Vaishya either. Vaishyas are only those business people, who are committed to produce wealth to remove the poverty and impoverishment of their society. They will also not quit, even when they see that Brahmans and Kshatriyas do receive higher honor. Such, teachers, solders and merchants, don't just automatically emerge in the society ! For achieving these virtues of true Brahmanhood (ब्रह्मणत्व), Kshatriyahood (क्षत्रियत्व) and Vaishyahood (वैश्यत्व), one needs to commit early on in life and work hard in preparation for many-many years. Then, only one is to ready fulfill the duties demanded by these Varna-Dharma. So, that unfolds the mystery of Varna. Now, let's know about order of 'vyastha' (व्यस्था). A great society needs that, the job of spreading Truth and knowledge (सत्य और ज्ञान), should command the highest honor. Although, Khsatriya and Vaishya follow behind in that order, this is not a hierarchy of any kind. In these modern times, the greedy businessman, who have plundered the wealth of society with their shrewdness and dishonesty, they are commanding the highest place and respect in the society. Thus they such businessman are causing social chaos and disrupting the order. Let there be no doubt that, to fix such a rot, an intense fight (संघर्ष) has to be launched. And, that struggle which may perhaps demand the sacrifices of millions of people. The second accusation against Varna Order is that, if older Varna-labels are retained, then the new and refined order will again have the potential to degenerate over time and revert to the older corrupt condition. But, this is a flawed thinking. The best way to create a resistance against the older corrupted Varna order is that, there must be revival and establishment of the genuine-varna-order (सच्ची वर्ण व्यवस्था). If people continue to stay divided in hundreds of groups even after crossing the barriers of 'jaat-paant' (जात-पांत), then what is the advantage of breaking these 'jaat-paant' (जात-पांत). A single individual born in lower jaati, if he can become an examplar (आदर्श) of the great Brahman (श्रेष्ठ ब्रह्मण), then that would create a surge of strong emotions and powerful advocacy against the barriers of 'jaat-paant' (जात-पांत). Such a surge is not possible even with hundreds of advocacy speeches. Also, when people will understand the harms caused by the barriers of 'jaat-paant' (जात-पांत) that is rooted in birth, then why would they walk into the same trap again? The truth is that, we are unable to break off the chains of the barriers of 'jaat-paant' (जात-पांत), because we have failed to produce new genuine Brahmans, Kshatriyas and Vaishyas that would be capable of replacing the degenerated old Brahmans, Kshatriyas and Vaishyas. When a genuine currency/coin is brought into circulation, the fake one looses out. Thus, it's a baseless doubt that, now degenerated birth based Varna order will catch up again, if we continue to use the varna-labels. Still, the question still remains that, how to determine an individual's varna. The answers is that, varna is determined by that pledge (व्रत), which an individual has made very early on in life (बाल्यावस्था). These are the people who have received proper education and training in conformance to their chosen varna. Such a choice is either made by personal interest or based on a specialist advise. Also, one must remember that, here specialization doesn't mean that, people of one varna should never touch the work of another varna. For example, if nation is under attack, or in the times of crisis, all should be prepared for the Kshatriya duties. But, again people acquire mastery in the work of one varna, and that determines their varna. One final accusation by the opponents of varna order is that, may be this arrangement was useful once upon a time, but, in the current times varna order is totally worthless and harmful. Well, if people have completely discarded the genuine varna order, and instead rolled out an unjust and corrupted order, then its utterly unreasonable (अनुचित) to slander the genuine varna order. It's also true that highly inequitable distribution of wealth has created several major defects in the varna order. But, no other social system has benefited the society, so much and so long, as the varna order did. Even today, with modest effort, this varna order can again be fruitfully revived for the upliftment and wellbeing of the society. This might be a more benevolent alternative to the capitalist and communist systems. Genuine varna order is such that, each and every individual of the society can fulfill their life, while living a life that is useful for the society as well. Every person can't acquire proficiency in world's all fields of knowledge and work. Therefore, each person while having acquired general knowledge in relevant areas, should acquire proficiency in a few specific subject matters. To this end, three broad divisions of work have been created by the Indian Sages (ऋषि) and social scientists (समाज वेत्ता). A. One category of work includes transforming natural resources into useful products for the benefit of human life and living. Using their intellectual prowess and physical labor, those who engage in this pursuit of removing the impoverishment of mankind, are called Vasishya (वैश्य). B. Another category of work involves maintaining order by forcefully righting the wrongs caused by human weaknesses (मानव स्वभाव सुलभ दुर्बलता), e.g. greed, anger, lust, jealousy, pride, prejudice etc., and that also demands spreading the righteous/virtuous behavior (सद्व्यवहार). Those who acquire proficiency in this type of work of are called Khstriya (क्षत्रिय). C. Acquisition of knowledge that is beneficent for humanity in its entirety and committing oneself to eliminate the ignorance (अविद्या) is yet another important category of work. Those who acquire proficiency in this field are called Brahman (ब्राह्मण). D. There is no separate thing as 'darkness', in fact it's the absence of light. Similarly, the absence of the mastery of any of the above three categories in an individual, places an individual in the fourth Varna of Shudra (शूद्र). Work for each of the three Varna-categories, demand different qualifications and specializations in individuals. A genuine Varna-Order also champions that, everybody's basic necessities should be met, no matter which category of work they engage in. Thus, people should receive fitting privileges (यथायोग्य अधिकार) and remuneration (उचित दक्षिणा), in accordance with the ease or difficulty of the work. Any social order that militates against this fundamental principle, wouldn't help a society thrive. That's why the Varna-order places special emphasis on people choosing that field of work in which they are most suitably qualified. They can make this decision by themselves after deep reflection. Or, they can seek help from other experts in making the right choice and sharpen their skills to match their choices. How these people should conduct themselves in the society, after having mastered the skills for the work, in accordance with their chosen varna category? It's imperative to create a 'Code of conduct', for the society to govern the interpersonal interactions and powerplay (शक्ति-प्रतिमान). Varna Order is very crucial for balancing the powerplay within the society. This ensures that various types of powers should not get concentrated into the hands of a few people. Four types of powers in the society are used to exert influence. These are, shaastra (शास्त्र) or the Gyan-shakti (ज्ञान-शक्ति), shastra (शस्त्र) or armed force (सैन्य-बल), anna or wealth (अन्न या संपत्ति) - food or wealth, and seva or labor force (सेवा या श्रमबल). If a few people usurp all these powers, then it will cause anarchy in the society. And People who command over these huge concentrations of powers, their ego gets inflated monstrously and their behavior turn dictatorial. Therefore, the genuine Varna Order, prescribes a different reward and remuneration for these four categories of powers. By offering their services in the form of knowledge (ज्ञान सेवा), Brahmans are given the high honor and respect of society. As a reward for protecting the society, Kshatriyas get the privilege of governance (शासन). Vaishyas generate wealth (धन) by fulfilling the needs of the society like food etc. Sudra's needs are met in return for their service of the three Varnas. Removing ignorance (अज्ञान/अविद्या) is most critical of above three responsibilities. Because, without right knowledge, people can neither protect society against injustice nor can they produce wealth by transforming natural resources into useful products for the benefit of human life and living. Knowledge can produce people of these two kinds, but these people can't create man making knowledge. Thus all those people of nation, who are endowed with a harmonious blend of knowledge (ज्ञान) and self-restraint (संयम), they should belong the first category, the Brahman-Varna. If all people of a nation are equally talented (प्रतिभाशाली) and who have total command over their senses (संयमी), then such a nation is truly privileged and fortunate (भाग्यशाली). In the comity of nations, it will speedily reach to the pinnacle of progress (उन्नति के शिखर). But, until such a state is achieved, and until people naturally become a sustained practitioner of self-restraint (आत्म-संयम के अभ्यासी), till such time, we have a compelling need to create an social order/system, which inspires and propels the human society on the path of achieving greatness (महानता). Thus it becomes important that the people who can act as enabler, exemplar and catalyst by sharing their knowledge with the society, they must be given maximum respect and honor also. It's true that overcoming the craving for honor (लोकेष्णा) is also a part of the practice of self-restraint (आत्म-संयम), but, this state can only be achieved over time. Therefore, to begin with, people of this category must be given maximum respect and honor, this will inspire nation's best and brightest children to follow their example. Although, people in this category may not crave for external respect (लौकिक मान), but it is important that nation offers special honor to such people who really don't demand it. Thus, everyone gets inspiration to inculcate such a great virtue (सद्गुण). But, one must not forget that, there is a limit for self-restraint (आत्म-संयम की सीमा). For developing high proficiency, as it is necessary to categorize the people, similarly, for the success of each group, they must be treated well with respect. At the same time, there should be enough safeguards to prevent the concentration of power and wealth in the hands of one group. Otherwise, they would tend to ignore the larger good of the society and indulge in dictatorial behavior. Whenever, any group that acquires unchecked and limitless power, their fall is certain. That's why someone said, "Power tends to corrupt, and absolute power corrupts absolutely." That's why Indian social scientists created the Varna order such that, the self correcting order keeps each other in mutual check and balance for proper functioning of the society. That's called the 'Shakti-pratimaan' (शक्ति-प्रतिमान) or balanced powerplay. In almost all social orders prevailing world over, money is the primary form of compensation for the work product or service provided by an individual. We feel satisfied that we have provided just remuneration (यथा-योग्य दक्षिणा), when we pay varying amounts of money which is commensurate with the work and qualification of the service provider. But, when giving remuneration according to Varna order, we have to think that whatever we offer as compensation, should also be useful (उपयोगी) for the recipient. Well, now one can forward an argument that, when money can buy goods and services, then why not use money itself for remuneration (दक्षिणा)? But, one flaw in doing so is that, the importance of money is glorified too much, which then disrupts the 'Shakti-pratimaan' (शक्ति-प्रतिमान) or balanced powerplay. That's why according to Varna order, Brahmans are entitled to the sadhana of knowledge (ज्ञान वृद्धि की साधना) and puja. Kshatriya are given charge of governance. And, Vaishyas are custodians of the worldly wealth (सांसारिक वैभव). That's what makes fitting remuneration (यथा-योग्य दक्षिणा) of these three Varnas. And, that system alone can enhance the social balance, happiness and peace (संतुलन, सुख और शांति). For different categories of people, Dharma-Shastras (धर्म-शास्त्र) have provided different teachings/lessons (शिक्षाएँ). Somewhere, Shastras paint the horrors of narak (नरक), sufferings of 8.4 millions life forms (चौरासी लाख योनियाँ), and the fear of Ishvariya Dand (ईश्वरीय दंड). On the other hand Dharma-shastras create an anticipation (प्रलोभन) that, Ishvar Kripaa (ईश्वर कृपा) will bestow, wealth (धन), progeny (संतान), prosperity (ऐश्वर्य), happiness (सुख/आनंद), svarg (स्वर्ग), moksh (मोक्ष) etc. Whereas at another place, these Shastras expound this tatva-gyan (तत्व-ज्ञान) of the blissfully experiencing the 'Sachchidaanand-svaroop' (सच्चिदानंद स्वरूप) of Atma (आत्मा), ecstasy of samadhi (समाधि आनंद) and achievement of 'Param-pad' (परम-पद). This leaves people puzzled that why there are so many contradictory teaching (उपदेश) given in the Shastras? But, when we examine in depth, it's found that this diversity of teachings reflect a essential unity. Depending on the qualifications and worthiness (अधिकार-भेद), different people are given different-different types of lessons for action (भिन्न-भिन्न कर्मोपदेश). Animals work only by force (पशुओं को केवल दंड के द्वारा ही काम में लगाया जा सकता है). Someone can move a herd of sheep from one place to another, only with the help of stick. If you try to convince the herd and tell them to walk on the street in a single file, they would neither understand what you said nor would the follow any of your sweet words. There are many among humans, who belong to such animal like category. Such animal like people, can only be made to follow righteous path (सन्मार्ग), by use of force and control. We can't hope that, without such use of force, punishment and fear, the thieves, rapists, murderers, terrorists etc. would voluntarily follow the righteous path. The people in medium category (मध्यम-श्रेणी), are those, who can perceive their interest and loss (हित-अहित). Potentially they can be persuaded on the righteous path, if one moves their hearts with love, and also makes them understand the ups and down of their choices. If they are shown fear of punishment, such people will simply revolt and go against the advice. Love is the only 'weapon', that's effective on them. It's love (प्रेम), rather than punishment (दंड), that solves the family disputes. Then there are those who are intellectuals (विचारक), who possess a contemplative and intuitive mind (उच्च-मनोभूमि), and whose Atma is enlightened (प्रबुद्ध-आत्मा), for them, just suggestion (संकेत) is enough (पर्याप्त). They can recognize their mistakes by a mere pointer, and then, without loosing a single moment they get cautioned and start correcting their course. Thus,in reality, Truth (सत्य) is only One, but depending on the qualifications and worthiness (अधिकार-भेद), the same Truth is applied in three different ways. That's why Truth is also given the name of Satya (सत्य), Prem (प्रेम), and Nyaya (न्याय). One should evaluate the level of the students and calibrate their lessons accordingly. Different type of people deserve different type of interaction/behavior (व्यवहार). Some can be persuaded on righteous path by Truth (सत्य), others by love (प्रेम) and the rest by 'Nyaa-dand' (न्याय-दंड). Thus, people on the path of 'Satya-Dharma' (सत्य-धर्म के अनुयायी), have to choose different path for themselves. Hindu Varna Order represents this choice (हिन्दू धर्म की वर्ण व्यस्था इसी चुनाव की बोधक है). Whoever has interest and aptitude in specific subject matter, they can accept that field. Those whose mental makeup (मनोभूमि) is receptive and responsive (उपयुक्त) to Satya (सत्य), they are the Brahmans. Those who have a mental makeup soaked with love (प्रेम पूरित मन), they are the Vaishyas. And, those who are concerned with justice and power (न्याय एवं शक्ति), they are the Kshatriyas. But, one must note that such propensities of mind (मानसिक प्रवृत्तियां) do not evolve in one day. Past 'prarabdh-karma' (प्रारब्ध कर्म), accumulated intuitive convictions (संचित विश्वास), and the long-term sanskaars of knowledge and ignorance (ज्ञान एवं अज्ञान संस्कार), these are the drivers that create the building blocks and establish the foundation of Brahmanhood (ब्राह्मणत्व), khsatriyahood (क्षत्रियत्व), and vaishyahood (वैश्यत्व). Very often people have the dominant traits (गुण) of the family in which they are born. But, sometimes there exists the variation between the habits (स्वभाव) of 'janma and karma' (जन्म एवं कर्म), which are caused by the strong influence of sanskars (संस्कारों की प्रबलता). Finally, it's the life habit and sanskars which hold primacy. For example, due to their sanskars and despite the circumstance of their birth/family, Vashishtha, Satyakama, Ramanuj, Vishwamitra, and Gautambuddha, all these achieved Brahmanhood. Dronacharya, Kripacharya and Parashuram, although born in Brahman families, became Kshatriyas due to their dominant sanskars. Similarily, there are instances of the vaishya's changing varna too. Satya (सत्य), Prem (प्रेम), Nyaya (न्याय), whatever dominates our core interest (विशेष रूचि), and that which suits our mental makeup (योग्य मनोभूमि), accordingly, we have to choose our varna. It's immaterial even if our social/external varna (भौतिक वर्ण) continues to be derived from our birth. As driven by the dominant sanskars (संस्कारों की प्रबलता) and the inclination of mind (मानसिक रूचि/आकर्षण), accordingly we can still choose our spiritual varna (आध्यात्मिक वर्ण). Just as people have a given name and one nick name too, likewise, it doesn't matter if we keep two varnas also. One external varna (भौतिक वर्ण) and another spiritual varna (आध्यात्मिक वर्ण). The real deal is that, one must adopt their behavior in conformance to the chosen varna and encourage others also to follow their example. By following either one, we can achieve the ultimate goal. Now, people may ask that, this discussion has only covered three varnas, why we have left out the fourth varna. In this context, my considered opinion is that, just like there is no such thing called 'darkness' (अन्धेरा), rather it's merely a condition caused by absence of light (प्रकाश का अभाव). Just as the absence of life (जीवन का अभाव), is called death (मृत्यु). Extending this analogy, Shudrahood (शूद्रत्व) is merely the absence of the qualities of above three varnas (तीन वर्णों के गुणों का अभाव), and it's the absence of the three varna-dharmas (तीन वर्णों के धर्म का अभाव). An individual whose state of mind is dull/inert (जड़ मनोभूमि), who neither knows nor strives to achieve 'satya-prem-nyaya' (सत्य-प्रेम-न्याय), that is a the Shudra in real sense. From this viewpoint, Shudrahood (शूद्रत्व), is a sort of blemish on humanity (मनुष्यता का अभिशाप). Anyone should feel embarrassed/ashamed while calling himself a Shudra, because this word is nearly indicative of the animal existence (पशुत्व का बोधक). Initially, when they are without knowledge (ज्ञान से रहित), all people are named Shudra. But, when they enter into the knowledge/learning (ज्ञान में प्रवेश), then they cast off this spiritual garb of Shudrahood (शूद्रत्व का अध्यात्मिक चोला). The three varnas of Brahman, Kshatrya and Vaishya are called 'dvija' (द्विज) or 'dvijanma' (द्विजन्मा). That is they have all cast off their old shudrahood (शूद्रत्व), thus they have acquired the new birth/body of human greatness (मानवीय उच्चता का शरीर). Shudras become 'dvija' (द्विज) by receiving 'diksha' (दीक्षा), and wearing three threaded 'yagyopaveet' (यज्ञोपवीत). To achieve spiritual dvijatva (आध्यात्मिक द्विजत्व), is the prime duty and key endeavor of every human being. Those who neglect this duty, they continue to spend their life in Shudrahood and such a wasteful life and wasted opportunity is totally condemnable (सर्वथा धिक्कारने योग्य). Indian Civilization in its social dimensions also stands on rational/scientific foundation. Indian intelligentsia (भारतीय तत्वज्ञानी) created highly beneficial social order and tradition for Hindu people. Which gave tremendous advantage to Hindus and helped them preserve their precious Civilization despite external attacks from Arabian, Persian and European invaders, raiders and plunderers. In contrast, many world civilizations have been wiped out from the map due to attacks by these very same forces. Well, Indian scriptures pronounce that "आचारः परमो धर्म" (life behavior is the ultimate Dharma). In Hindu civilization, those principles have prime importance, which not only raise us morally and spiritually, but also help uplift our social life as well. Current times are time of transition (संक्रांति) and clash (संघर्ष). If we Indians want to preserve our Civilization (आचार-परम्परा), then we must weed out the defects that got entrenched in our civilization. Also, we must practice with complete श्रद्धा, the traditions (परिपाटी) established by our Sages, forefather and Rishis. Vedas have specified Varna Order. Entire society is organized in four Varnas of Brahman, Kshatriya, Vaishya and Shudra. The whole purpose is that each varna performs their duties with masterful skills and efficiency in cooperation/collaboration with other varnas. If a person does perform a specific type of work with full dedication, then he can achieve proficiency and specialization. By continuously changing work, one doesn't benefit and can't produce high quality work product. That's why Vedas specify, different type of work for each of the four varnas. Here are some direct quotes on what Dharma-Shastra say about Varna-Order. हे परमात्मन् ! आप उत्तम रीति से समस्त प्रजा एवं राष्ट्र को धारण करने में समर्थ हैं | आप हिंसारहित हैं | मनुष्यों के लिये हितकारी ऐश्वर्य हमें प्रदान करें ! O ! Yagya Dev ! invigorate all people to grow food and to increase strength and valor. Invigorate people to invigorate and enhance Brahmanatva (ब्राह्मणत्व) and Khsatriyatva (क्षत्रियत्व ). May you invigorate people for the expansion of Dhyuloka (द्युलोक) and Prithiviloka (पृथिवी लोक). O ! Parmatman (परमात्मन्) ! You are capable (समर्थ) to bear (धारण) the nation (राष्ट्र) and its people in the best way (उत्तम रीति). You are devoid of violence. Bestow upon us that Aishwarya (ऐश्वर्य), which is beneficent for human kind. You bestow upon us the Brahmanhood (ब्राह्मणत्व), Kshatriyahood (क्षत्रियत्व ) and the ability of trade (व्यापार ), the Vaishyahood (वैश्यत्व). Uru tadasya yad vaishyah, padabhyam shudro ajaayata”. Brahman's main function is teaching with use of speech, thus their origin is attributed to the mouth of the 'Viraat-purush' (विराट पुरुष). Hands/arms are a symbol of might and Kshatriya carry weapons, they govern and protect the nation, thus their origin is deemed to be from the hands of the 'Viraat-purush' (विराट पुरुष). Legs/thighs represent strength and vigor (बलिष्ठता एवं पौरुष). These qualities are required for farming and trade/production. Thus, Vaishya's origin is regarded to be from the Legs/thighs of the 'Viraat-purush' (विराट पुरुष). The feet carry the load of whole body. Like wise Shudras, by their seva (सेवा), contribute towards smooth functioning of the society. As if they carry the load of society. So, their origin is imagined from the feet of 'Viraat-purush' (विराट पुरुष). Just like all these body parts (mouth, hands, thighs, and feet) have distinct natural form, function and characteristics, still they collaboratively, cooperatively and harmoniously function within the body as a whole. None of these body parts dominate the functioning of the body. Rather, their seemingly independent operation stems from being different parts of a single body. Thus, origin of four Varnas from the different parts of the body of 'Viraat-purush' (विराट पुरुष), clearly points to the foundation of Varna order on the basis of different 'guna-karma-svabhav' (गुण-कर्म-स्वभाव). Bhagwan Sri Krishna, thus determines Varna Order on the basis of differentiation in man's intrinsic qualities (गुण), actions (कर्म) and habits (स्वभाव). "Man neither becomes Brahman by birth, nor by the knowledge of Vedas alone. By high character (उच्च चरित्र), only one is recognized as a Brahman." In the Mahabharat period, varna order was in vogue. Mahabharat describes the duties of four varnas in many places (see Mahabharat Adiparva 64/8/34). Mahabharat also narrates how the people of all varnas were engaging in duties according to their respective varnas. Dharma doesn't diminish when people follow their varna Dharma and adopt their life behavior accordingly (Mahabharat Adiparva 64-24). In 'Shanti-parva' of Mahabharat, Maharshi Bhrigu (महर्षि-भृगु), explains to his disciple Bharadwaj (भारद्वाज) that, in the beginning there existed only one Varna, the Brahman varna. Later, this got divided into four. Bhrigu, clearly attributes the origin of varnas to 'guna-karma-svabhava' (गुण-कर्म-स्वभाव), rather than some new differentiating factor. "विप्राणां ज्ञानतो ज्येष्ठं क्षत्रियाणां तु वीर्यतः" . That means, Brahman commands respect by knowledge (ज्ञान) and Kshatriya by valor and vigor (बल-वीर्य). Primary determinant of man's Varna are his intrinsic qualities (गुण), actions (कर्म) and habits (स्वभाव). By birth the whole world is Shudra. Thereafter, by Sanskar (संस्कार), one become dvija (द्विज). A Brahman is one who is committed to use his knowledge to remove society's the ignorance and inertia (अज्ञान और मूढ़ता निवारण). One who is committed to protect the society from aggression and injustice is Kshatriya. Viahsya is one who is committed to the prosperity and sustenance of society through operating a fair supply chain and production. In fact Shudra is the one who doesn't possess ability to work independently due to lack of intellect, wisdom and farsightedness. Thus people of Shudra varna can only provide help and service to the other three varnas. Which may include unskilled jobs. To meet the needs of an efficiently functioning society, and keeping in view the differentiation of Guna and Karma, the Varna order is evolved by the Indian sages. When we see today's rotten form of Varna Order, it's not that principles are at fault, rather it's people's ignorance and their wrong actions responsible for this distortion. Varna Order teaches that, we should live our lives with a specific goal in mind. Unfortunately, over time this varna order got fossilized and hardened to the extent that varna order is lately being dominated by birth/family position. This is absolutely erroneous social condition, needing immediate correction. In realty, people should get work according to their varna as determined by their Guna and Karma. And, they should receive the social reorganization accordingly. Those people who do not possess the Guna and Karma appropriate for their Varna, they should not become member of such varna and move into a suitable Varna. Puranas mention the transition of this type. For example, Vishwamitra was born a Kshatriya, but he grew into Brahman varna on the basis of his knowledge, intellect, sadhana and high cultural values (उच्च सांस्कृतिक वैभव). Varna order is thus meant to be for distribution of work, but today this has degenerated and the system is being misused and abused to the detriment of the socirty. Now one can find multitude of Upa-jaati (उपजाति). Among Brahmans alone, there are almost 2000 sub-identities. 'Sarasvat-Brahman' alone have 649 branches. Kshatriya's have 990 branches. Vaishya and Shudra have many more Upa-jaati (उपजाति). This state of social affairs has almost destroyed the India's cultural unity (सांस्कृतिक एकता). Only Guna and Karma are the genuine measure of a person and accordingly he should be given respect in the society. It's not the birth, rather Guna, that should command society's respect. If an individual from Shudra varna grows his ability, knowledge and intellect, then he should also command the same respect as a Brahman does. No one should be excluded on the basis of birth. Despite being of unknown varna, Jabali's son Satyakaam was considered to be worthy of 'Brahm-Vidya' (ब्रह्म-विद्या) due to his Guna of Truthfulness (सत्यवक्ता). Thus the petty narrowness of currently degenerated Jati tradition is worth abandoning. And, guna-karma-swabhav (गुण-कर्म-स्वभाव) should be re-established as the primary determinant of an individual's Varna. At the time, when Gita was told by Bhagvan Sri Krishna, Indian society was divided into four Varnas. As a result of this the various Jaati-dharma or Jati-karma were inharited naturally (जन्म-सिद्ध ) by the people . In additiona to the four Varnas of Brahman, Khsatriy, Vaishya and Shudra, there were some "Papa-yoni" Jaatis (पाप-योनी जातियां), like there were dog-eater 'Chandaals' too. According to Gita, in that specific time, whatever work came in the way of a specific Jati, they deemed it to be the right fit. Not only this, Gita goes even further and says that giving up our dhrama (स्वधर्म) and taking up others dharma (परधर्म), is inappropriate and a matter of extreme fear. Such behavior may be harmful to the social order. The point to ponder is that, whether this ancient Varna-order is always going to remain invariable (अटल) and always going to prevail, no matter what was the social order in the Gita-period, and no matter how much change happend in place-and-time (देश-काल) since then? Gita itself doesn't offer any such guarantee ! Gita prescribed this Varna order for a time period when people of all the four Varnas truly practiced their own dharma. Not only that, more a Varna was considered worthy of honor and veneration, they carried higher responsibilities. Brahmans were deemed to be worthy of high honor, their right to material comforts (इन्द्रिय-सुख), was the least of all. Total command over internal and external senses (इन्द्रिय-संयम), was core of a Brahmin's primary code of conduct. When we survey the society of the Gita-period, there is no such prominent Brahman to be found, who had amassed huge wealth or who has indulged in the luxuries of life. Although, Kshatriyas had the power to rule, they always have to be ready to sacrifice their lives for the protection of their subjects and nation. In those days, getting a bad name (अपयश) by loosing was considered to be worse than going down fighting. That's why no Kshatriya would show their back in the battle field. That's why Gita describes ten duties for a Brahman, seven for Kshatriya, three for Vaishya and only one duty for Shudra. The balance between responsibilities and honor was maintained such that no single Varna would dominate the social order. That's why, in the 'Vibhuti Yoga' of Gita while describing the four Varnas, Bhagvan Sri Krishna nowhere said 'Varnaam Brahmanoamyaham' (वर्णानां ब्राह्मणोऽम्यहम्). Means he never said that that 'I am Brahman among the four Varnas'. In today's time people who claim to be of higher Varna, they only hanker for honor/respect but run away from associated responsibility and constraints of duties. How could that be possible to command respect without bearing commensurate responsibilities and duties. For the benevolence of society, today, Brahmans don't use their knowledge (विद्या), Kshatriya don't use their strength/clout, and Vaishyas don't use their wealth. They all have given up their responsibilities of their Varna-Dharma. Today's biggest need is that even the smallest people of the society should be treated with honor and given equitable rights in the society. Until we bring to bear the principles of justice and equality, we can not expect the creation of a good and harmonious social order. When we get rid of the unnatural inequality (अस्वाभाविक असमानता), and bring the order of equality in consonant with the nature, only then people's natural tendencies (स्वाभाविक प्रवृत्ति) can be used to determine their actions (कर्म). Firstly, in such a natural condition, an individual can himself make this determination. If he faces difficulties in making the right choice of work, then he can seek guidance from experienced teachers (अनुभवी गुरुजन). When people intuitively feel the natural social equality, then there will be no prejudice about the superiority or inferiority of different types of work available in the society. Similarly, when all people can earn their livelihood and achieve an equitable and comfortable standard of living, then no one would think that which work will fetch them more money. At this stage, all that matters is to choose the work for which we have the best skill set and best ability. When, we are able to pick a work that matches our interest and nature (रूचि और स्वभाव), then there would be no fear of failure or falling behind. Prior to creating a new social order, it is imperative that we fix the current dispensation so that all type of work commands equal respect and brings financial equality (प्रतिष्ठा और आर्थिक समता). This appears to be difficult, but we can kill the inequality by commanding our senses (इन्द्रिय संयम). This is what Gitaakaar says, "काम एष क्रोध एष रजोगुण समुद्भवः ! महाशनो महापाप्मा विद्धयेनमिह वैरिणम !! (गीता ३/३७)" (kaam, esha, krodha esha, rajoguna samudbhavah). Our ancestors have demonstrated by their own life and clearly instructed us to live by the ideas of "आत्मवत सर्व भूतेषु" (Atmvat Sarva Bhooteshu), and "आत्मौपम्ये सर्वत्र समं पश्यति" (Atmaupamye sarvatra samam pashyati). Thefefore, no reason stops us from emulating their example. Due to our unstable minds (चंचल मन), like that of Arjun, we too may find it difficult in the beginning to practice the 'Samya-Yoga' (साम्य-योग). But we must bring this in our lives by persistent effort (अभ्यास), detachment (वैराग्य), and command of senses (संयम). For organizing a well functioning society, in ancient times, the Indian Sages and thinkers (ऋषि-मनीषी), felt the need of Varna Order (वर्ण-व्यवस्था). Shudra category of people were entrusted with the service activities (सेवा-कार्य). Vaishya category of people were responsible for running an efficient supply chain and trade/commerce. Kshatriya category of people took upon their shoulders the responsibility of governance, defense, warfare (युद्ध-विद्या) related pursuits (पुरुषार्थ) and heroism (पराक्रम). While Brahmans dedicated themselves for the diffusion of knowledge (सद्ज्ञान का प्रसार), altruistic service (पुण्य/परमार्थ), and welfare of society (लोकमंगल). People of all these four categories, maintained an effective social order (समाज व्यस्था) by mutual collaboration and cooperation. There was no conflict among people of different categories, and thus prevailed an environment rich in Satogun (सतोगुण), a Satyugi milieu (सतयुगी वातावरण) dominated the society. That was such a time that mere imagination of which makes people euphoric (पुलकित) even today. These four categories exist today also, but due to distortion, corruption and onslaught of over a millennium, now these seem to be causing disorder and stink, instead of inspiring people and uplifting the society. In Manusmriti, Bhagwan Manu has described all human beings as Shudra at birth. And, says that by performance of their duties only, people earn entry into next Varnas. If we survey today's world, we will find that most people belong to Shudra Varna. Manu designated all human beings as Shudra at birth, because, in its initial phases of life human consciousness is extremely limited and constricted (सीमित एवं संकुचित), thus individual remains self-centered (आत्म-केन्द्रित). Like lower creatures, he is just focused on 'me and mine'. His thought processed don't jump beyond this circle of me and mine'. But, later in life when he come in contact of society, then, he starts thinking about giving back (प्रतिदान) and repaying his debt to the society (उऋण). Now, when he engages cooperatively in the activities of Seva (सेवा-सहकार), then he is becomes eligible for entry into the next Varna. In the ancient times, those people who engaged in Seva-activities, were called Shudra. But, now people who are loath Seva-activities (सेवा-विमुख), are kept in the Shudra category. forefront to offer their wealth and resources for the works of social wellbeing (सामाजिक कार्य). But, in the current times, Vaishyas have developed a greedy tendency and hoarding mentality (संचयजन्य मनोवृत्ति). Now they are in rat-race for materialistic luxuries (भौतिकता) and physical comforts (ऐश-ओ-आराम). Still, there exist many generous Vaishyas, who remind of the 'Rishi-Yug' (ऋषि-युग). Therefore, according to today's behavior pattern, they are termed Vaishyas. Vaishya-vritti (वैश्य-वृत्ति) of ancient times was hallmark of the renunciation of 'Sanchaya-vritti' (संचय-वृत्ति) or greedy/hoarding mentality. Today, this Vaishya-vritti (वैश्य-वृत्ति) is very rare, and only to be found in dream (स्वप्नवत). Kshatriyatva (क्षत्रियत्व), is defined by valor and heroism (पुरुषार्थ-पराक्रम). Kshatriya means a courage (साहस) to inspire people to change the society. Putting down the injustice and wickedness was also a part of Kshatriya's job description. But, it appears that today's Kshatriyas have become void of virility (पुरुषत्वहीन). They can neither raise themselves nor somebody else. Rather, they seem to be conspiring for abasement, torture and exploitation (गिराने, सताने एवं शोषण करने). This is how they hold their reign of power (प्रभुत्व). This is what they think is their valor and heroism (पुरुषार्थ-पराक्रम). If they wanted, Kshatriyas could use power and influence, to completely turn around and re-create a whole new social order sans today's social defects. They could have played a vital role in transforming this society, anew ! But, shunning such critical responsibility attendant upon a Kshatriya role, they are only blemishing (कलंकित) their Kshatriyhood/Kshatriyatva (क्षत्रियत्व). Although, they have ambition for power and influence (प्रभुता एवं वर्चस्व), they fail to demonstrate Kshatriya-drive (पुरुषार्थ). Renewal of this Kshatriya-drive (पुरुषार्थ) is the main need of today. The Brahman category commanded highest respect, because their work was more precious and important in comparison to the Kshatriyas and Vaishyas. Brahmans shunned their personal ambitions (महत्वाकांक्षा), lived at the level of an average citizen, and stayed engaged in the altruistic self-less pursuits (परमार्थ-प्रयोजन), and they offered truthful advice (सत्परामर्श) to the society. From one vantage point, such a Brahmanhood was the ultimate outcome of human qualities (मानवीय गुणों की चरम परिणिति). That was the highest stage of human development, because in that state compassion (करुणा) and intuitive emotions (भाव-संवेदना) expand to such a degree that, entire world feels like a one family to them. Where nobody is other, and nobody is own. Thinking the whole world as his own family, a Brahman engages in counseling (मार्ग-दर्शन ), and Daan-Punya' (दान-पुण्य) for the society's wellbeing (कल्याण). Such a Brahmanhood/Brahmanatva (ब्राह्मणत्व) is also a rare occurrence these days. Today, we should strive to achieve Brahmanhood, but we need not completely ignore the duties of Shudra, Vaishya and Kshatriya also. Shudra karma means the Seva of 'Viraat-Brahm' (विराट ब्रह्म), the whole manifest-universe. Vaishya karma means getting rid of our habit of greed and tame the tendency to accumulate wealth by generous contributions towards society's wellbeing. Courage (साहस), valor (पराक्रम), righteous anger/Manyu (मन्यु), and rage against injustice (अनीति के प्रति आक्रोश), these are the characteristics of a Kshatriya. These three duties of Shudra, Vaishya and Kshatriya, should be born simultaneously these days. This is the clarion call of Mahakal (महाकाल की पुकार). This is also His grand desire (महत इच्छा) and His aspiration (आकांक्षा) too. All philosophers till date held the view that human form is the best living form in the world. But, relatively speaking all human are not at the same level. They all differ in their thought processes (विचार-प्रणाली), object attachment (विषय-प्रवृत्ति), motivational elements (प्रेरक-तत्व), work execution (कार्य-संचालन), intellectual prowess (बुद्धि-वैभव), and physical wealth (शारीरिक-संपत्ति). Everyone has earned wealth which is never same for all. Even when exactly similar opportunities are available, people turn out differently, not identical. Children born to same parents are seen to have opposing qualities. Students of the same Guru are seen to have varying degree of knowledge. Neither any evidence nor logic is necessary to prove the extreme diversity of our world. That is self-evident. And, this diversity is seen among humans as well. In comparison to other living creatures, humans are superior only due to their intellectual profusion (बुद्धि-वैभव). Thus intellectual riches are the key determinants of human's varying levels. Some people while possessing sharp intellect, do not use it. Rather, they yield to be controlled my other's intellect, almost robotically (यंत्रवत). Such people merely become an instrument for others work, but they can't do their own work. Therefore, such people can't develop their own independent personality. They only make living from whatever they earn by working for their employers. The limit of their existence is only food, sleep, fear and mating. They can't achieve the glory of a free thinking (स्वतंत्रचेता) person, which is only possible by rising beyond such mundane existence driven by these base instincts. People like these are pronounced the Shudra in the Varna order (वर्ण-मर्यादा) of the Arya Sanskriti (आर्य-संस्कृति). Physical labor (शारीरिक श्रम ) and hard bodily tapas (कठोर दैहिक तप) is the distinctive characteristic of them. That's what is the essence of the Vedic saying 'तपसे शूद्रम्' (tapse Shudram). Above this level, there is another category of people that although do physical labor, but their goal is to fulfill their own needs. For example, farmer grows crops and raises cattle. Trader engages in business activities. But, they do it all for themselves, not for anybody else. To perform these activities they endure hardship (कठोर तप). They face the turmoil of cold, heat, comfort and hardship, but objective is their own wellbeing (स्वयं का हित). That's the only difference between people at this level (वैश्य) and the one described earlier (शूद्र). The difference of intellectual pursuit (बुद्धि की क्रियाशीलता) accounts for For this difference of levels. Without use of intellect neither a person can benefit from agriculture nor take advantage of trade and business. If one doesn't use his intellect, then he merely becomes a means to someone else's ends. It's the active intellect that saves people from merely becoming an instrument in the hands of others. This is the level of Vaishya category. The third level is of the people who use their intellect more relative to the Vaishya category. They take up the responsibility of protecting the society, for which they have to think and implement a variety of solutions. They have to be aware of and stay alert from the multitude of threats originating from external and internal sources. They have to gather and process intelligence related to enemy's conspiracies and promptly act upon them. They are also responsible to organize defenses and earn proficiency in operating these systems effectively. These are some of the things this group needs to gain proficiency in. This work also requires physical hard work and hardship, but with higher degree of intellectual power, in comparison to the first two levels. However, there is a huge difference in the goals when it come to this third level of people. The goal of Vaishya group is their own benefit. But, goal of this third group is the protection of their society. While a Shudra, without much intellectual activity, only serves one or few people, this third group serves the whole nation/society with his higher degree of intellectual prowess. Thus, from many points of view, this third group of people stands superior, relative to the earlier two groups of Vaishya and Shudra. This is the Kshatriya category ! Then there is the fourth level of people, whose goal is to cultivate their intellect to very high degree, but not for any worldly gains or goals. Rather, for their living, they engage in intellectual pursuits like teaching, paurohitya (पौरोहित्य), while remaining in constant communion with all pervading divine presence (प्रभु के सहारे). Other than these activities, rest of the time they strive to keep their minds illuminated with the higher consciousness. That's the only goal of the people in this fourth level. In Arya-Sanskriti (आर्य संस्कृति), this is meant to be the level of Brahman (ब्राह्मण) category. Whatever has been said about the four categories above, in each one of these categories, many divisions are possible on the basis of work and intellectual prowess demanded by them. In fact such sub-divisions have been made indeed. On the basis of Sat (सत्) and Asat (असत्), each category can be divided into atleast two sub-divisions. These two sub-divisions can be further divided into many more finer divisions. Although, humanity as a whole is a single category, but this can be atleast be divided into the four developmental stages (विकास के चार स्तर). From the perspective of their inner mental state and emotional makeup, people of Shudra category want to live a worryfree (चिंता रहित) life. Seeking long life of enjoyment with many children and grand children, earning living (mostly wages) without taking any risks and thus spending a life without worries. These are some of the characteristics of the Shudra people. Such a life does not reflect and realize the growth potential of a human life. Worry/uneasiness (चिंता) is the first step of growth. Worry (चिंता) drives the deep thinking (चिंतन). This deep thinking and contemplation alone proves the real human worth (मानव की सार्थकता). One who can't do this, they can't grow. In Arya-Sanskriti (आर्य संस्कृति), that's what is meant by 'Janmana Jayate Shudrah' (जन्मना जायते शूद्रः). As all children are carefree and devoid of deep contemplative thinking, they are called Shudra since birth. They become worthy of being called Dvija (द्विज), only after going through the sanskars (संस्कार). For sure, this sanskar is done precisely of mind (मन). In vaishya category this worry (चिंता) is visible at every step of the way. They can't spend a smooth, worry free life (स्थिर निश्चिन्त जीवन). That's why they accomplish growth in their life. By their special thought processes (चिंतन प्रणाली), Vaishya category is experienced (अनुभूत) in expansion of wealth, prosperity and riches. People who engage in trade, business and related risky ventures are counted in the Vaishya category. Manu has determined this category to be a composite of Satyaanrit (सत्यानृत). People in Kshatriya category are seen to be even more so worried. They always keep their lives on their palms (प्राण हथेली पर). When situation demands, they just couldn't care less about their life, body, money or offspring. They are always ready to give it all up in the defense of society and it's reputation (राष्ट्र/समाज की कीर्ति). That's his honor. Even if this means loosing life, limbs or money, they are committed to protect the honor. True Kshatriya protects his society from hurt, harm and dishonor. Protects it from tyrants with full alertness. In words of ancient symbolism, Khsatriya is, 'Gau-Brahman Pratipaalak' (गोब्राह्मण प्रतिपालक). He is 'Satya-sandh' (सत्यसंध) , 'Satyapakshee' (सत्यपक्षी), and 'Satya-sanrakshak' (सत्य-संरक्षक). These are the central subjects in the Chitta (चित्त) of a Kshatriya. However, Brahman people have none of these concerns like life (आयु), vigor/vitality (प्राण), wealth (धन), subjects (प्रजा) , fame (कीर्ति). Achieving Brahmvarchasva (ब्रह्मवर्चस्व) is their pre-eminent goal. From universal view point (समष्टि दृष्टि), the 'dhyo tatva' (द्यो तत्व), which is permeating, pervading and illuminating the whole existence in the form of Buddhi tatv (बुद्धि तत्व), and the brilliance of Sat (सत का आलोक) which is existing everywhere (सर्वव्याप्त), that is the ultimate focus of attention of a Brahman. The Brahman's primary goal is to experientially recognize this Truth and merge/dissolve his individual Buddhi tatva (व्यष्टि बुद्धि तत्व) with the Universal. Achieveing Dhee-Yoga (धी योग). This is a state beyond thinking (चिंतन) and contemplation (मनन). For sure a Brahman has to be an intellectual (चिंतनशील), but, beyond that he also becomes enlightened (प्रकाश संपन्न). Thus he is able to affect his entire surrounding by his intense activities (गतिशीलता) driven by Bramhteja (ब्रह्मतेज युक्त). People in his sphere of influence feel this force and turn to move towards that direction. That's is how the divine manifests (दिव्यता का प्रादुर्भाव) and affects (प्रभाव). In Arya-Sanskriti (आर्य-संस्कृति), this is called the growth of Brahmi-vritti (ब्राह्मी-वृत्ति सम्पादन). To achieve the growth of Brahmi-vritti, Manu has prescribed and described the use of svadhyaya (स्वाध्याय), vrat (व्रत), home-trayi vidyaa (होम त्रयी विद्या), ijyaa (इज्या), mahayagya (महायज्ञ). Svadhyaya is sustained study of Veda, Shastra, volumes of Gyan-Vigyaan (ज्ञान-विज्ञान). Vrata (व्रत) is achieving command over senses (इन्द्रिय-संयम) by means like upavasa (उपवास). Daily agni-hotra (अग्निहोत्र), Veda-trayi behavior (वेदा-त्रयी आचरण) of gyan-karma-upasana (ज्ञान, कर्म, उपासना), conduct of Darsh-paurnmaas yagya (दर्श-पौर्णमास आदि यज्ञ), compliance of Grihastha-dharma (गृहस्थ-धर्म) in bearing and raising children (संतति-प्रसव), Sarvhut-mahayagya (सर्वहुत महायज्ञ), Panch-mahayagya (पञ्च-महायज्ञ), and finally transforming the whole Yagya-inspired life (यज्ञ-पूर्ण जीवन) into a life of yagya (यज्ञमय जीवन), these are told to be the means (साधन) for achieving Brahmanatv (ब्राह्मणत्व). The final recourse of living a life of yagya (यज्ञमय जीवन), indicates the ultimate form of renunciation (त्याग की पराकाष्ठा). Brahmans living such a life only can fully realize the pledge of Sanyaasi (सन्यासी की प्रतिज्ञा), where all ambitions of sons-wealth-fame (पुत्र-वित्त-यश आकांक्षा) has to be totally renounced. Shudra is stagnant/passive (स्थिर). Vaishya is action driven (गतिशील). Kshatriya is even more highly action driven (अत्यधिक गतिशील). And Brahman who is ultimate in drive (परम-गतिशील), stays steady (स्थिर). From the perspective of human development and growth also, above described four levels present a specific forward progression in life. Shudra, while earning routine living by being dependent on other (पराश्रित), thus, he sometime gets offended/hurt and then he strives to become independent and achieve financial security. This is the start of Shudra's drive towards vaishyahood/Vaishyatv (वैश्यत्व की ओर प्रयाण). A vaishya produces and accumulates wealth, but his worries for protecting and expanding his wealth, drives him to create resources and systems/processes that could guarantee a relatively worryfree and safe surroundings. And that's the transformation of vaishyahood/Vaishyatva (वैश्यत्व) into Kshatriyahood/Kshatriyatv (क्षत्रियत्व). Kshatriyatva or political order (राजनीति) is infested with lot of twist, spin and distortions. In political order, 'Saam-Daam-Dand-Bhed' (साम-दाम-दंड-भेद), become the part of everyday conduct. Ordinarily, it is no easy job to earn fame. When one enters into politics, he first hand discovers this viciousness and inner rot. Then he starts feeling restless from such human perversity and viciousness. And, now he starts seeking life of innocence and simplicity (सरलता से संयुक्त जीवन). This intense aspiration is the movement towards Brahmanhood / Brahmanatv (ब्राह्मणत्व की ओर प्रयाण). Brahman personifies simplicity and innocence. Miles away from deception and conspiracies, Brahman is an icon of purity, openness and innocence (निष्कपट भोलेपन की मूर्ति). Brahman belongs to all and all belong to him, then with whom and why he will have deceptive behavior. He is totally free (उन्मुक्त), open like a sky, blooming like a flower, showering happiness like moon rays, spreading light like a sun. Who in his right senses would not love the Brahmanahood which is drenched in the rays of Supreme consciousness (ब्रह्मरश्मियों में स्नात), cleansed of all imperfections (विगतकल्मष), blissfully calm (शांत), and benign/kind (सौम्य). Even if one doesn't actively seek Brahmanatv, unknowingly everyone is sprinting in that direction. Mother nature is dragging us all towards the Brahmanhood. Those, who are resisting this drive, either due to lethargy (प्रमादवश) or due to their own stubbornness, such people are unfortunate (अभागे). Otherwise, it's desirable for everyone to move towards that 'dhyo' (द्यो), leaving behind their attachment of the dirt. Everybody aspires to move from Anna (अन्न) to Ananda (अनंद). Everybody loves to become Amrit (अमृत) leaving behind the Mrit (मृत). In conclusion, it's worth repeating that, today, we should strive to achieve Brahmanhood, but we need not completely ignore the duties of Shudra, Vaishya and Kshatriya also. Shudra karma means the Seva of 'Viraat-Brahm' (विराट ब्रह्म), the whole manifest-universe. Vaishya karma means getting ride of our habit of greed and tame the tendency to accumulate wealth by generous contributions towards society's wellbeing. Courage (साहस), valor (पराक्रम), righteous anger/Manyu (मन्यु), and rage against injustice (अनीति के प्रति आक्रोश), these are the characteristics of a Kshatriya. These three duties of Shudra, Vaishya and Kshatriya, should be born simultaneously these days. This is the clarion call of Mahakal (महाकाल की पुकार). This is also His grand desire (महत इच्छा) and His aspiration (आकांक्षा) too.